Curcumin is one of the world’s most studied natural plant extracts, with over 10 000 published studies and counting. Modern science has validated many of the traditional claims and uses and has identified curcumin’s true potential. Today, millions of people across the world use curcumin as a part of their daily supplement routine to improve and maintain health. Despite the remarkable benefits of curcumin, the major challenge of supplementation is poor oral bioavailability. This refers to the body’s ability to absorb curcumin and for it to become active, allowing it to deliver its benefits. 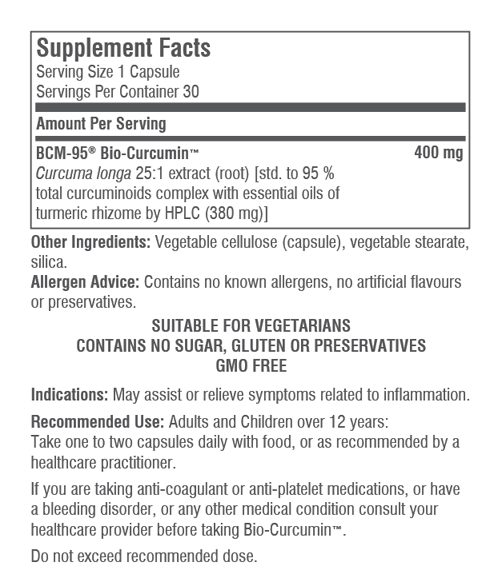 Bio-Curcumin® utilises BCM-95® the world’s preferred bioavailable curcumin extract. 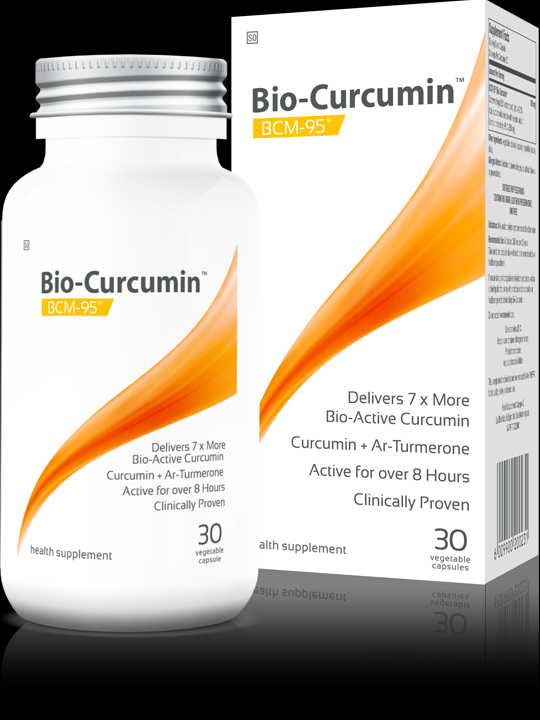 Bio-Curcumin® utilises a patented, clinically proven and synergistic combination of curcumin and Ar-Turmerone, exclusively sourced from the turmeric plant. Bio-Curcumin® has been proven to deliver up to seven times more free and bioactive curcumin into the bloodstream than regular curcumin extracts and it remains active in the body for over eight hours. Bio-Curcumin® is the most studied curcumin extract available today, trusted and recommended by health practitioners and used by millions of people across the world.